Posts, Pages, Products, Events or Media – Including Mixed Content! If you are building a website or just improving your existing one, you might need to create posts listings in different places. It can be your blog section, Advice section, as we call it here on Catnapweb, or your homepage. You might like to list them under your posts or in the right sidebar. You might even like to list different types of content such as portfolio or pages. 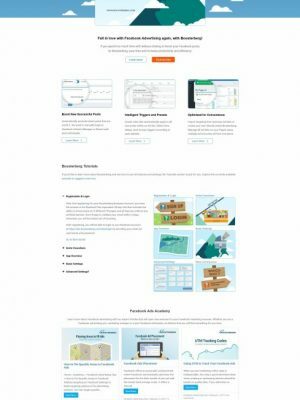 Usually, your theme and/or Visual Composer or other powerful editor comes with predefined listings such as Post Grid. However, sometimes these are not powerful enough or they do not look like you’d expect them. I was looking for an alternate solution to them and tested dozens of plugins. For me, Content Views is number one for sure. 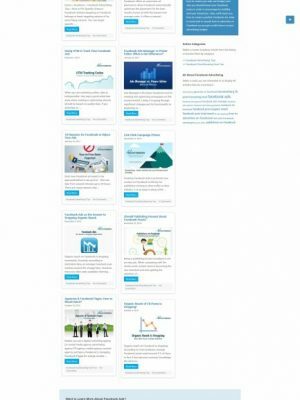 Very nice and tidy templates, especially the Pinterest and News Feed templates are very nice. Powerful settings – you can include only certain categories, tags, type of content, you can easily exclude any type of content by its category or ID and you can even easily exclude the current post just by checking a box – this is useful when creating a list of related content which you don’t want to contain the currently displayed post for sure. 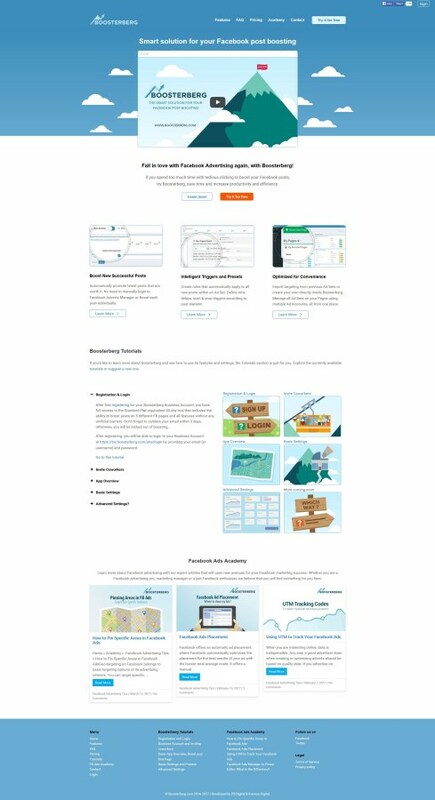 Replacing layouts for category and tag archives as well – I am just going to try this but they say it is pretty simple. Let us show you some examples of implementation. 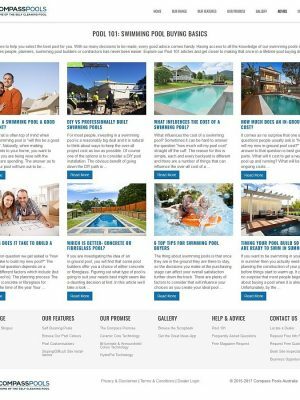 We have used Content Views in many places and will show you how it looks on two sites: Compass Pools Australia – the manufacturer of fibreglass swimming pools in Australia and Boosterberg – the global platform for Facebook post boosting automation. 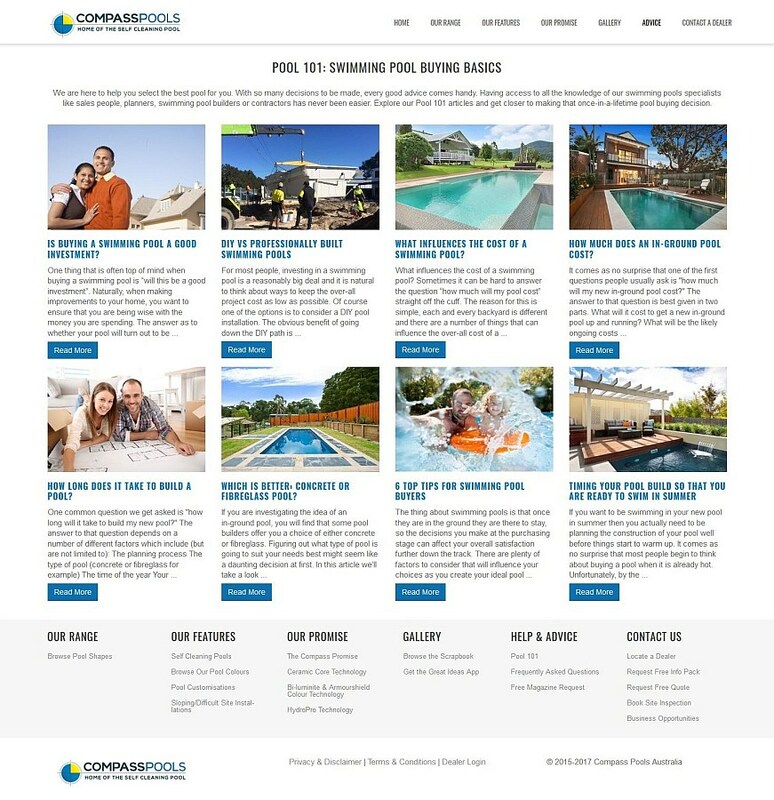 The first case will be the Compass Pools Australia website which is the site of the best fibreglass swimming pools manufacturer in Australia. Here, we used Content Views in more places (and we’ll add more soon). The first one was to list related articles in the FAQ Section which answers many questions connected to purchasing a pool and pool ownership. Here, under each FAQ article, a list of related FAQs (from the same category) is displayed using this plugin. 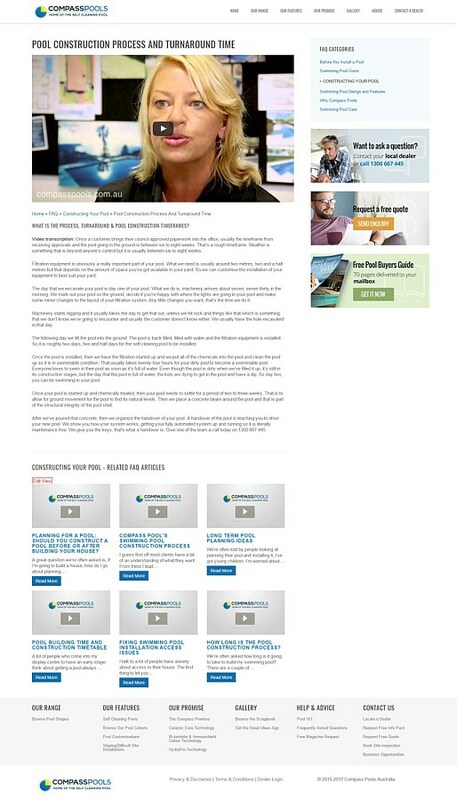 In another section, the Pool 101 – Swimming Pool Buying Basics, we list all the Pool 101 articles using Content Views. In this section, questions such as Is investing into a pool a good investment or What influences the cost of a swimming pool are being answered. Now, the Latest Updates section is being created which will include company and dealers updates, news, and events. Boosterberg is a platform for automated boosting of Facebook posts. We used Content Views to build two sections at the beginning and we are continuing to work on transforming other content with CV as well. At first, the Facebook Ads Academy was redesigned using the new listing. It is the ultimate resource for all Facebook advertising professionals and enthusiasts. In this section, Boosterberg experts are sharing their insights on how get the most out of Facebook advertising, how to build effective campaigns and how to use Boosterberg to boost FB posts and to save a lot of time and money when managing Facebook pages. 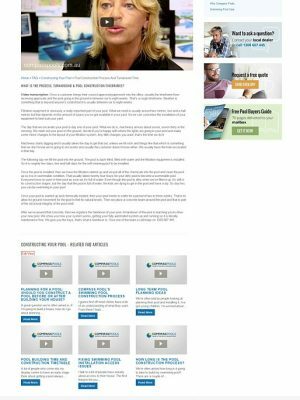 Later, we needed to include the latest FB Ads Academy articles on the homepage as well to drive traffic to this important section. The listing of latest posts was done with Content Views as well.